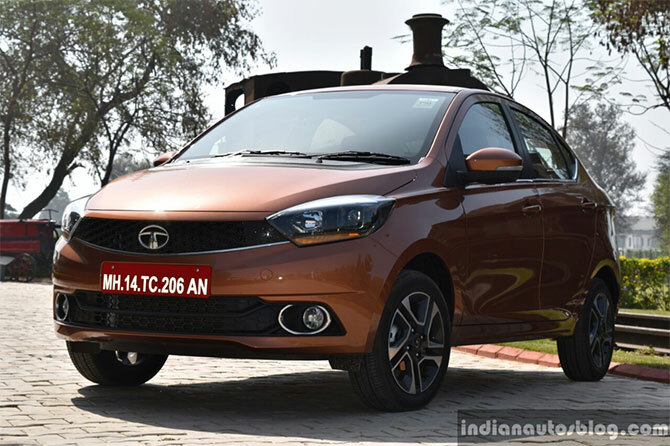 Though strikingly similar to the Tiago, the Tata Tigor takes the design quotient a notch higher, says P Tharyan. The Tigor is the latest style statement from Tata Motors. 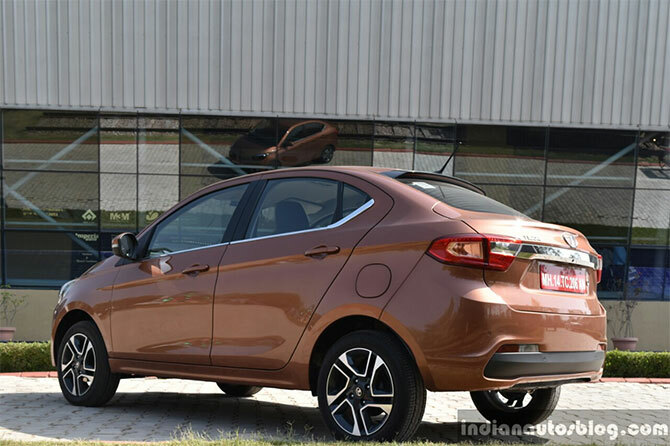 It is quite similar to the Tiago, right up to the C-pillar that slopes into a well-formed boot, giving the Tigor a stylish notchback look. No wonder, the car is called the StyleBack Tigor by the company. The moment I gazed at the car, I realised that the fascia bore a striking resemblance to the Tiago. The Tigor has a dual-coloured bumper with the Tata Signature Grille, which is accentuated with a chrome humanity line at the front, with the looks further enhanced by the crystal-like, smoked projector headlamps. Unfortunately, there are no DRLs (daytime running lights), which are in vogue these days. 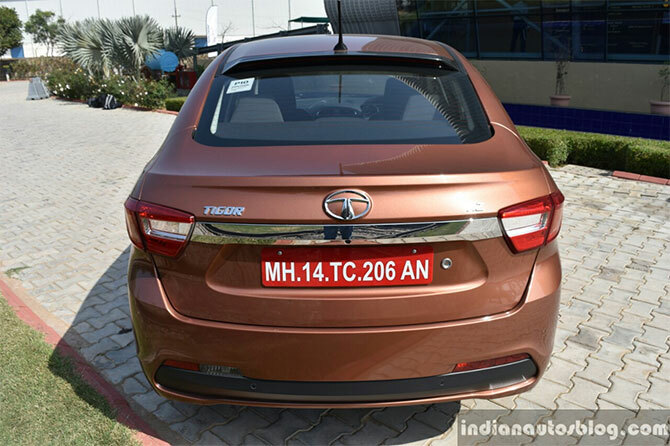 Move over Swift Dzire, Tata Tigor is here! 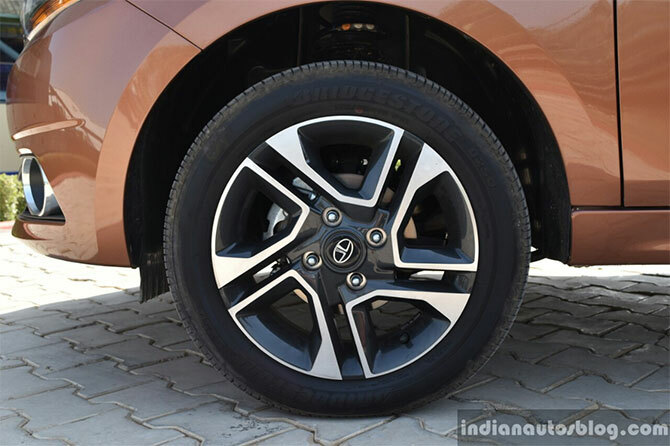 The side profile of the car is enhanced with 15-inch alloys for the petrol variant, while the diesel variant has to make do with only 14-inch alloys. Tata Motors engineers and stylists have worked pretty hard to get the right design flow beyond the C-pillar. The rear features split tail lamps with a chrome strip between them and a long LED stop lamp fitted high above the descending roof line at the rear. 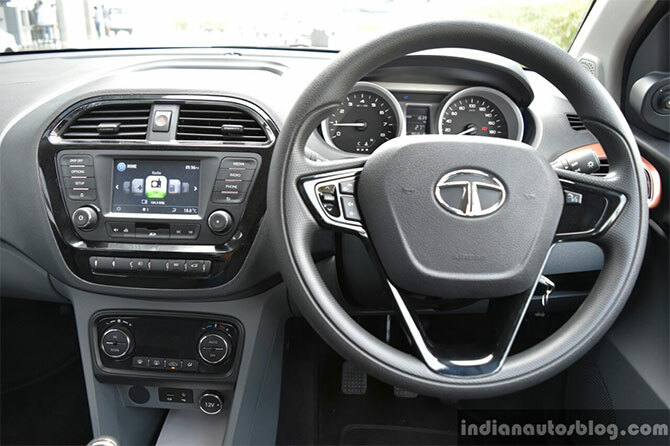 Tata Motors has given a darker shade to the dual tone dashboard, with the centre console area sporting a piano black finish. The smart seats offer good under-thigh and back support. The rear seat now comes with an arm rest in the middle. As for storage spaces for cups, bottles and mobiles, there are 24 utility spaces within the cabin. There is also a huge boot space of around 419 litres. The traditional push-down/pull-up lock mechanism that is there on the inner door frame act as the door lock. 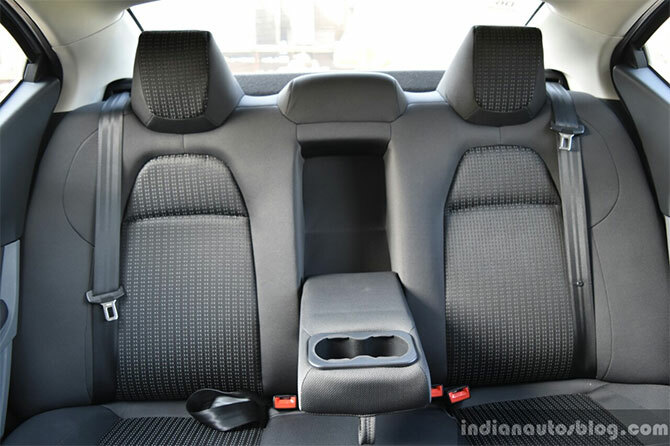 The Tigor now has two 12V power outlets, one in the front console area and the other one on the floor console area, the latter addressing the charging needs for those in the rear seat. Automatic climate control comes as a new feature. The car comes with eight Harman speakers. 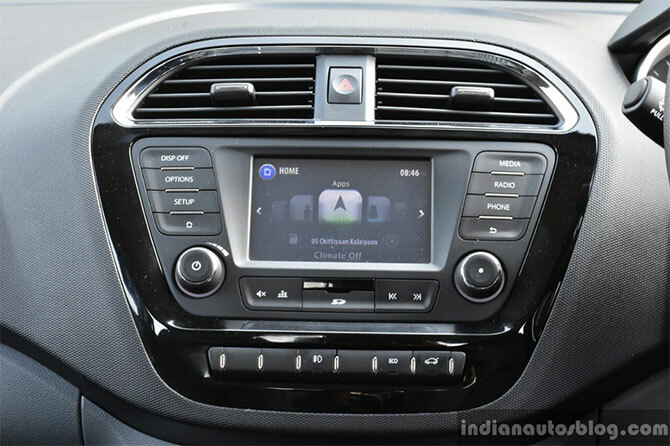 What’s new here is that the infotainment system comes with a five-inch touchscreen enabled with video playback, voice command recognition, SMS readout and display for the rear parking assist camera. Steering mounted controls can adjust volume and activate voice control. While the system is equipped with a comprehensive app suite, it is sadly compatible only with Android smartphones. The car does not seem underpowered at all, despite the fact that the Tigor is now 50 kg heavier in its notchback avatar. Both engines are available with multi-drive modes - Eco and City. The steering wheel is tilt adjustable, but is not telescopic. The electric power assisted steering is designed for a light steering feel and for easy manoeuvring. Despite its added length, the car is planted to the road at high speeds and, with its dual path suspension in front and rear, allows for a good drive and handling. NVH levels in both petrol and diesel are well under control. When it comes to safety, the Tigor has dual front airbags, an energy absorbing body structure, anti-lock braking system with electronic brakeforce distribution and corner stability control for improved braking efficiency. 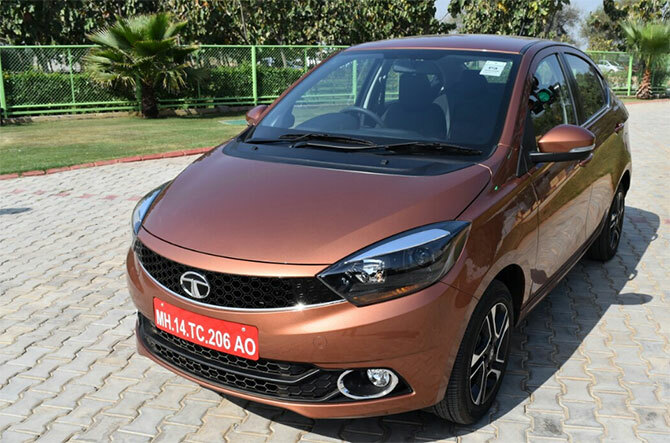 Tata Motors is betting big on the first time upgraders owning small hatchback cars to drive sales of its newly launched compact sedan 'Style Back' Tata Tigor in the passenger vehicle portfolio. 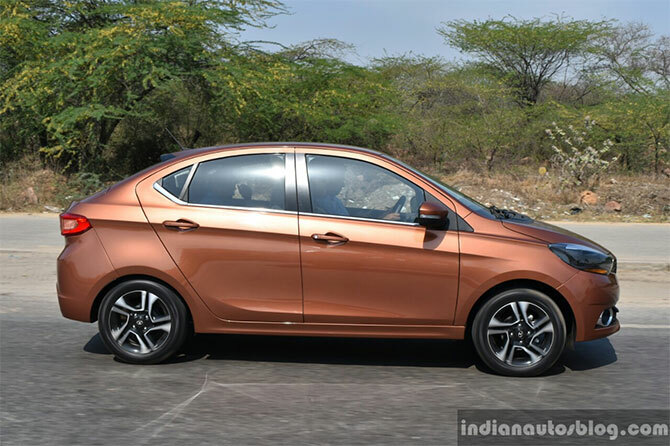 "First time upgraders looking for functional and style aspects and upgrade from small hatches will go for Tata Tigor. "We are targeting the 66 per cent of people in India as the statistics say, who will have a replacement or an additional car", said S N Barman, vice president (sales), passenger vehicle business unit, Tata Motors. Tigor is the third vehicle based on IMPACT Design Philosophy after Tiago and Hexa. 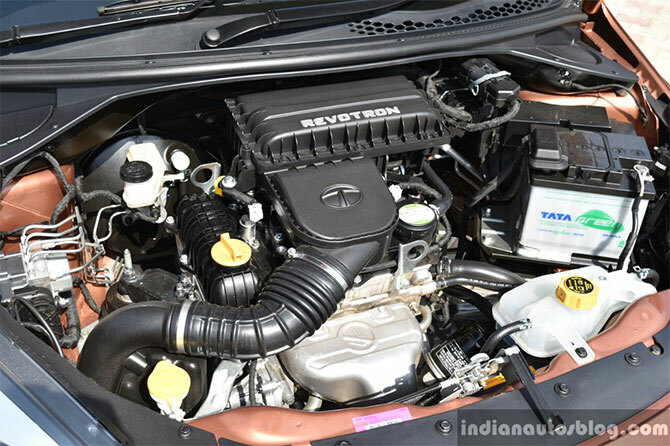 The Tigor is available in both petrol and diesel variants - Revotron 1.2L (petrol engine) and Revotorq 1.05L (diesel engine), with class-leading driving dynamics. Available in eight variants XE 1.2 P, XT 1.2 P, XZ 1.2 P, XZ (O) 1.2 P, XE 1.05 D, XT 1.05 D, X Z 1.05 D and XZ (O) 1.05 D, it is available in six exciting colour options - copper dazzle , espresso brown pearlescent white, platinum silver, striker blue and berry red. Tigor comes with a standard warranty of two years or 75,000km (whichever is earlier) with an option to further extend. The company official said the waiting period for this model is one month. "We expect a good response from the customers. Based on the customer's booking, we can manage the customers roughly for two months", he added. Barman rejected any plans on exports of Tata Tigor. 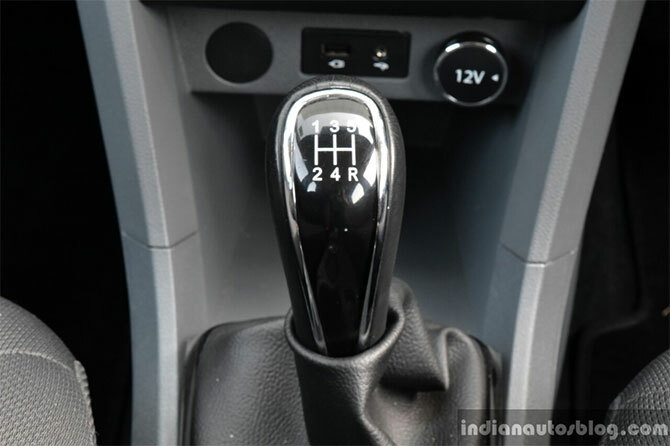 "The price of the Tata Tigor is compelling and aggressive. It is priced lower than a stylish hatch. We would be looking the customers from both hatchback and sedan sides", he added. The company has trained around 6,000 sales consultants to cater its new generation products like Tiago, Hexa and now the Tigor, across 650 sales outlets and more than 500 service touch points. Tata Motors plans to add 200 sales touch points in FY 17-18. The Tigor is smartly designed on the outside with 'expressive', 'exciting', and 'extraordinary' exterior features. Its lively and dynamic stance exudes the feeling of youthfulness, stated a company statement. The prices start at Rs 5.10 lakh for the Revotron 1.2L (petrol) variant and Rs 6.03 lakh, for the Revotorq 1.05L (diesel) variant (ex-showroom Bhubaneswar).